A crowd of around 40 residents and all eight city councilors filled Council Chambers at City Hall Thursday as Smith Engineering hosted its second town hall on the impending Hermosa Drive Reconstruction Project. Project engineer Scott Hicks provided a recap of information issued at the first meeting in July 2018, with one notable change. Whereas the project originally consisted of five phases moving west on Hermosa from 13th Street to 26th Street, Hicks said the portion that will force the closure of the intersection of Hermosa and 26th will now be separated into a sixth phase in order to minimize impact on Smile Xpressions. The dental office has two driveways along Hermosa; Phase 5 will now end between the two in order to allow business access from 26th Street, while Phase 6 will extend from that point through the intersection, allowing business access from Hermosa. Thursday’s meeting, however, focused primarily on Phase I, which is scheduled to begin in mid- to late February. Total construction time on that phase, which will extend from just west of 13th Street to just west of 16th Street, is anticipated to be three-and-a-half months. Once complete, the driving lane will be 12-and-a-half feet in width, with two 11-foot parking lanes on either side, 6 inches of curb, and 5 feet for sidewalks. “We hope it will go quicker than that, but that is the contract time allowed,” Hicks told the residents. “It’s going to take cooperation from everybody and us all just working together to make this as painless as possible. The project — as was the case with the 13th Street Reconstruction Project — is part of the city’s efforts to update its aging infrastructure, which includes old, deteriorating water lines and valves. The Hermosa renovation will also widen the portion of the road from 13th Street to 22nd Street to accommodate parking lanes on either side; make Hermosa of equal width from 13th to 26th; add sidewalks to portions currently without; and bring all sidewalks into ADA compliance. Each portion of the project will result in full road closure, meaning residents whose homes face Hermosa will not be able to access their driveways during their corresponding phase. Hicks said those living in the area should also be prepared for occasional temporary water outages — of which he said 48 hours of advance notice would be given unless the outage was unexpected — construction equipment operating close to properties, and construction noise, typically between the hours of 7 a.m. and 4 or 5 p.m. Residents along much of the construction corridor were also reminded that approximately 5 feet of their front yards would be reclaimed during the project, due to the fact those yards extend into the right-of-way owned by the City of Artesia. As it did in July, that proved to be a bone of contention with many of the residents, particularly those with fencing, landscaping and/or sprinkler systems that reach to the edges of their yards. Any loss of such items would come without compensation of any kind, and Smith Engineering is encouraging residents to remove the portions of the items that would be affected themselves before construction begins, as there is no guarantee the contractor on the project — Constructors Inc. — would do so to the residents’ satisfaction. While residents are aware the encroachment of yards into the right-of-way occurred before any current city employees’ time, that did little to lessen the irritation of being led to believe at the time they purchased their homes that their property lines extended to the sidewalk. One woman in attendance posited that if 5 feet of her yard belonged to the city, she should be compensated for 15 years’ worth of maintenance of city property. Understandable though the residents’ displeasure was, however, the debate was largely philosophical. As unfortunate as it is that past city employees did not ensure the homes’ property lines were correct, the city has the right to reclaim that property now that a need has arisen. Another hot-button issue at the meeting was parking. Residents are being asked to park in their alleyways during the phase that will restrict access to the front of their homes, and many questioned the logistics of that. Hicks told the crowd the city plans to relocate dumpsters from the alleys of affected areas to side streets during each phase, but homeowners — particularly those with utility poles, meters, and other obstructions behind their residences — could not picture how vehicles, particularly large ones, would be able to navigate the alley if cars were parked on either side. Hicks said residents would be asked to park as close to their back fences as possible. When one resident questioned how families with multiple vehicles would find space for them, Hicks said parking further down the alley or along side streets may have to become an option, and that neighbors would hopefully be able to work it out amongst themselves if congestion issues arise. 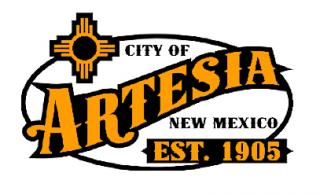 The issue of safety and the potential for auto burglaries was also raised, and Hicks said the Artesia Police Department assisted with an increased presence in alleys along affected portions of 13th Street during that project and would be willing to help again. Residents concerned with access for emergency services were assured all departments would be aware of current conditions on Hermosa and the quickest routes to homes during each phase of the project. Hermosa homeowners were also informed Thursday that the temporary cluster mailboxes that will be erected during construction will become permanent after the project is complete. The loss of individual mailboxes prompted groans from many, but Hicks stated that particular decision had been made by the local postmaster. One resident voiced her displeasure with both that side effect and the USPS, stating she had been ordered by the postal service when she moved into her home to place a mailbox in a specific location or her mail would not be delivered. She said she spent $300 to have a mailbox installed in that spot, only to find out now that not only does it have to be removed for construction, she’ll not have a mailbox at all once construction is complete. “This is going to be a very big inconvenience on every one of you and everybody travelling that corridor,” Hicks said. “We know this. We’re asking for your cooperation, especially with your neighbors. If they weren’t here tonight, talk to them, tell them, ‘This is what’s going to happen.’ If they have piles of things behind their back fences, suggest that maybe they need to remove them so they can park their car there and other cars can get around. Hicks also informed the crowd that Smith Engineering would be working in two other areas during Phase I of the project. The first will be the intersection of 26th Street and Grand Avenue, which will be closed for approximately the same amount of time as the first portion of Hermosa. That project will include utility updates, new, ADA-compliant sidewalks, lane widening, and repaving. The second will be at Hermosa and 24th Street, where a pressure-reducing station will be installed. • Phase II: From just west of 16th Street to approximately 1814 Hermosa Drive. • Phase III: From 1814 Hermosa Drive to the alley just west of 20th Street (the intersection of 20th and Hermosa will be closed during this phase). • Phase IV: From the alley just west of 20th Street to just east of 24th Street. • Phase V: From just east of 24th Street to halfway between the driveways of Smile Xpressions. • Phase VI: From halfway between the driveways of Smile Xpressions through the 26th Street intersection. All phases are anticipated to last between three and four months. Ultimately, Hicks stressed to the residents the importance of voicing any concerns prior to the start of construction. Residents may contact Hicks or on-site project representative Tod Carroll at Smith Engineering, 622-8866 or smithengineering.pro, to obtain more information, request property lines be marked in order to see what portions of yards will be affected, etc. A final, pre-construction meeting is scheduled for Jan. 31. That meeting will not be open to the public.